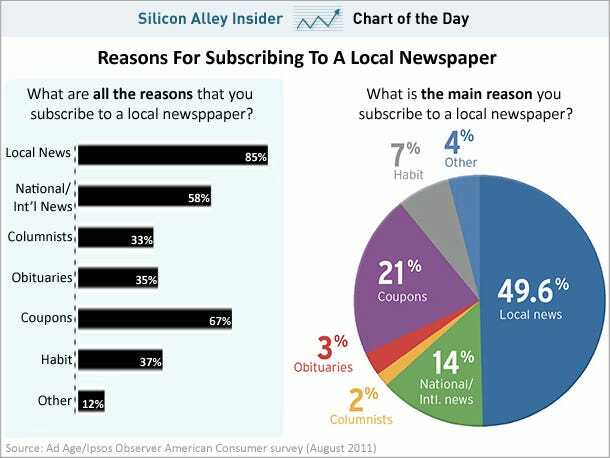 People are still subscribing to newspapers for two reasons, according to a survey from AdAge: they want local news, and they want coupons. Local news hasn't really worked online, so newspapers are okay on that front for now. But if Groupon and LivingSocial continue their successful runs, it could be yet another reason for people to cancel their subscriptions. Newer PostOS X Lion Wants You To Never Press "Save" Again. Here's How It Works.